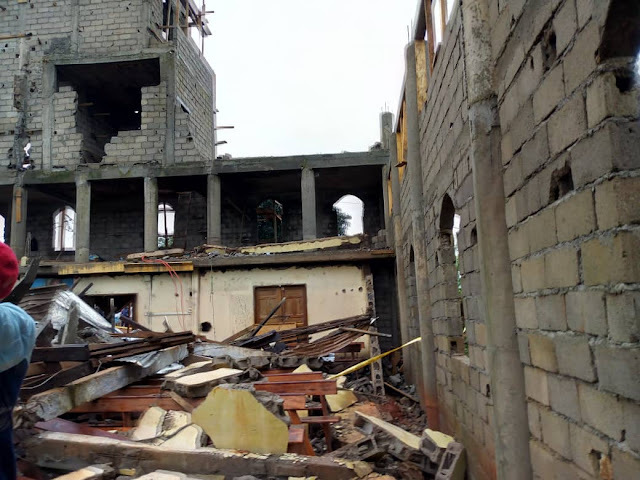 AFRICA/CAMEROON - Church collapses during the prayer of the rosary; at least two dead and one missing Yaoundé (Agenzia Fides) - At least two people died in the collapse of the church of Sainte Marceline de Minkan in Odza, a suburb of the capital of Cameroon, Yaoundé, which occurred on the evening of 17 October. The collapse was due to heavy rains. According to Fr. Félix Désiré Amougou, spokesman for the Archdiocese of Yaoundé, the provisional toll of the tragedy is 2 dead, 4 wounded, and one missing.